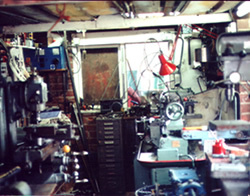 Active engineering began in 1987 with a small machine shop in a 8’x 14’, workshop that contained a lathe, milling machine, shaper, saw and radial drill – quite packed, but just enough room to swing a cat. For a few years most profits were reinvested in machine tools to allow us to create both finished components for other people and also our own products. 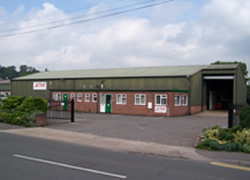 After a spell in rented council building we bought our own factory in 1997 which at 1500 sq ft enabled us to become more organised with both production and design facilities. In 2001 we moved to our current 5000 sq ft site. The space inside allows us to have several jobs running at once and the ¾ acre out side space which allows us to conduct testing and evaluation of our products. Our early output mainly went into the mining industry which demands rugged and reliable products, this philosophy carries on to our products today , no matter how attractive an item looks it has to work in the field and exceed expectations. 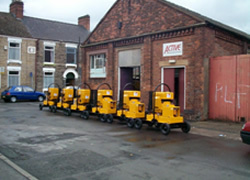 Active have a blend of experienced staff and also believe firmly in educating the next generation, in 7 years we have had two apprentices which for a small firm is quite an investment. Our staff age range is 18 to 80. We can draw on staff experience in the company from Assembly, Fitting, Machining, Fabrication, and Hydraulic Expertise. Our staff have completed traditional mechanical engineering apprenticeships and are qualified from Basic Craft Studies through to Degree level. Most projects are undertaken as customer requests, the usual route is to discuss requirements with the customer his requirements, This free consultation brings out the design requirements to ensure our problem solving is both achievable and cost effective. A prototype is then usually manufactured to enable evaluation and development to take place. Tests may have to take place to gain approval for the installations such as diesel engines. Production to the customer requirements is then undertaken, close monitoring of products in service makes sure field experience is woven back into future product. Over the years we have built up a wide range of technical ability, from practical workshop engineering to advanced 3D Cad techniques. Active encourages close relationships with our customers to achieve development that improves the product.,as an example our 2 inch pump has been developed from a head of 24M of water thro to a head of 80M of water. We tend to be involved with areas that our customers require providing a complete idea to product service and support, our aim is to give additional expertise so that it appears as an integral part of our customers business.